Ranjit (third left) poses with Record (second left) along with (from left) The World Bank’s lead financial sector specialist for Finance, Competitiveness and Innovation Global Practice Jose De Luna Martinez, SC deputy chief executive Datuk Zainal Izlan Zainal Abidin, The World Bank’s lead financial sector specialist and head of Islamic Finance, Finance, Competitiveness and Innovation Abayomi A Alawode and SC chief regulatory officer Foo Lee Mei. KUCHING: Malaysia is leading efforts for convergence of Islamic and green financing following the country’s issuance of the world’s first green sukuk in July 2017. This was revealed at a joint conference on Monday organised by the Securities Commission Malaysia (SC), World Bank Group Global Knowledge and Research Hub in Malaysia and the International Organisation of Securities Commissions (IOSCO) Asia Pacific Hub also located in Malaysia. To date, five green sukuk have been issued under the SC’s Sustainable and Responsible Investment (SRI) Sukuk Framework totaling RM2.407 billion, with more expected during the year. This trend, along with the numerous enabling components for this class of innovative, inclusive and sustainable financial assets, were discussed and showcased at the joint conference on Monday. Themed “Harnessing Islamic Finance for a Green Future”, the conference today gathered 200 industry practitioners, policy makers and experts in Islamic finance and sustainable investment space to discuss key policy, regulatory and institutional elements needed to further increase market adoption of Islamic finance for climate mitigation and adaptation efforts. According to a study by the United Nations Environment Programme and DBS, the demand for additional Asean green investment from 2016 to 2030 is valued at an estimated US$3 trillion. Malaysia’s leadership in green infrastructure finance would be a key element in attracting investment capital to fund sustainable development in the region. “Innovations in the use of Islamic financial instruments can go a long way in supporting sustainable development. 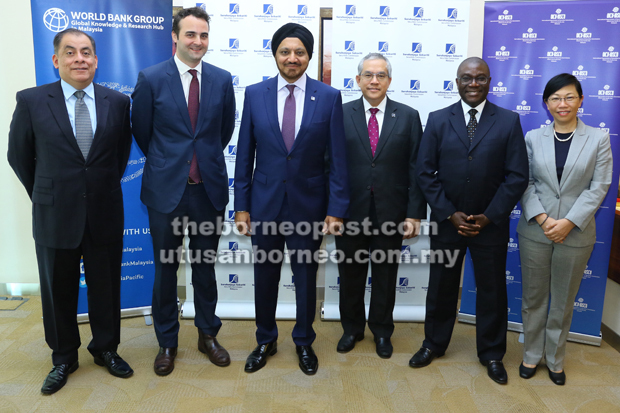 In line with rising demand, the SC continues to facilitate the development of the ecosystem and products that meet the requirements of both SRI and Islamic finance, ensuring the capital market serves the needs of investors and issuers,” SC chairman Tan Sri Ranjit Ajit Singh said. World Bank’s Global Knowledge and Research Hub in Malaysia’s acting country manager Richard Record said that the pioneering issuances of green Sukuk in Malaysia demonstrate the substantial potential of deploying Islamic finance instruments to support the green agenda. “This was accomplished through the partnership between the World Bank’s Malaysia Hub, the Malaysian government and other stakeholders. We intend to build on these accomplishments to foster the use of such instruments to finance sustainable development and build resilience to climate change and natural disasters in our client countries”. To further encourage green sukuk issuances, the SC recently established the Green SRI Sukuk Grant Scheme which helps to offset the additional cost of an independent review, also known as a second opinion, which certifies a debt instrument as meeting green criteria. The grants are open to both domestic and foreign companies in any currency, provided the sukuk are issued in Malaysia, with grants being tax-exempt provided applications are received before December 2020.